First Gulf Bank (FGB), one of the major leading banks in the UAE, has increased its stakes in Aseel Islamic Finance, through a purchase agreement which has raised the bank’s ownership from 40% to 100%. With a paid-up capital of AED 800 million, Aseel is now FGB’s Islamic banking and finance arm, offering innovative Shariah-compliant solutions for customers and businesses. This agreement is part of the bank’s larger dual expansion strategy which is focused on enhancing its global presence and on further developing existing businesses while meeting customer needs. Islamic finance is an important and growing segment of the region’s banking sector, and Aseel will provide innovative Islamic products to a broad base of customers and businesses which require Shariah-compliant services. Aseel will offer a full-fledged range of Islamic solutions, such as Business Financing, Murabaha and Ijarah products for SMEs, Takaful, Investment products, Corporate Deposits, and Trade facilities in addition to Real Estate services. It will also share responsibility for managing the bank’s existing Emirati Al Awwal Islamic savings certificates programme, Transaction Accounts and Individual Deposits. Aseel Islamic Finance will maintain an independent board of directors with Hana Al Rostamani as the Chairperson, while Javed Afzal was appointed as the Chief Executive Officer. Under their leadership, and with their combined expertise, the bank’s Islamic subsidiary will continue to provide top quality Shariah-compliant products and services, with further expansion plans to be announced in due course. Established in August 2006 and headquartered in the UAE capital, Abu Dhabi, Aseel Islamic Finance has built a leading market position for itself in the UAE’s Islamic Real Estate market. Aseel is owned by First Gulf Bank (FGB), which announced it had obtained full ownership of the finance company in October 2013 in line with its dynamic growth plans. Aseel is now FGB’s Islamic banking and finance arm, offering innovative Shariah-compliant solutions for customers and businesses. 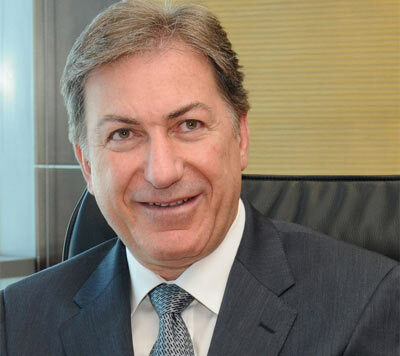 Before FGB’s full acquisition of the company, Aseel’s operations were centered around mortgage products and home financing options for individual customers. Going forward, as part of the bank’s growth plans, Aseel will diversify its offering through a unique and innovative product mix for a wide range of customers including the SME segment, for which it is developing a wide range of Shariah-compliant Murabaha and Ijarah products to meet their specific financing needs. As a major leading bank in the UAE, First Gulf Bank (FGB) had Shareholder Equity of AED 29 billion as of June 30th, 2013 making it one of the largest equity based banks in the UAE. Established in 1979 and headquartered in the UAE capital, Abu Dhabi, the bank offers a full range of financial services to business and consumer sectors throughout an extensive network of branches across the UAE. Internationally FGB has branches in Singapore and Qatar, representative offices in India and Hong Kong and a subsidiary in Libya. Today, FGB is recognised as a world-class organisation committed to maximising value for shareholders, customers and employees as it focuses on delivering banking products and services that meet client needs and support the UAE’s dynamic economy. In line with its commitment to excellence the bank continues to invest significantly in people and technology to provide superior service standards. First Gulf Bank was awarded the ‘Best Bank in the United Arab Emirates’ and ‘Best Bascassurance’ titles at the Banker Middle East Industry Awards 2013. It was also ranked as the 3rd most powerful company in the UAE and 6th leading bank in Forbes’ ‘Top 500 in the Arab World’ list. First Gulf Bank carries an A+ Long-Term (IDR) rating from Fitch, an A2 Long Term Deposit rating from Moody’s, an A+ Long Term Foreign Currency Rating from Capital Intelligence and a AAA Long-Term Financial Institution Rating from RAM Ratings of Malaysia.